The information presented on this page was originally released on November 4, 2014. It may not be outdated, but please search our site for more current information. If you plan to quote or reference this information in a publication, please check with the Extension specialist or author before proceeding. GOODMAN -- Fruit and vegetable growers can get information to help them prepare for spring planting during a Nov. 21 field day. Experts from Mississippi State University Extension Service, the Mississippi Agricultural and Forestry Experiment Station, and Alcorn State University will present several educational sessions at the Alliance for Sustainable Agricultural Production Demonstration Farm Field Day in Goodman. Alan Henn, an MSU Extension plant pathologist; Blake Layton, an MSU Extension entomologist; and Bill Evans, a MAFES associate research professor with MSU, will discuss crop nutrient management, irrigation, crop rotation, cover crops, soil testing, and pest, disease and weed control. 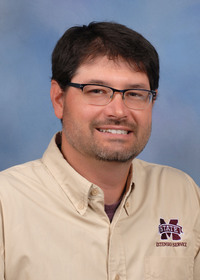 Jairo Diaz, director of the Mississippi River Research Center at Alcorn State, will present information on sustainable irrigation management and water source testing. Girish K. Panicker, an associate professor and director of the Center for Conservation Research at Alcorn State, will introduce growers to turmeric. Turmeric is an ornamental plant that can be used in food preparation and for medicinal purposes. Participants will get free rhizomes of turmeric to take home. 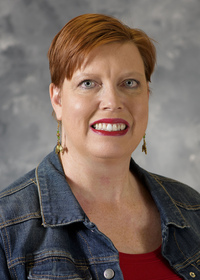 Faculty and students from the University of Mississippi Transactional Law Clinic will provide free one-on-one consultations with farmers on legal and business issues. The field day is free and open to the public. The event begins at 10 a.m. and ends at 2:30 p.m. Advance registration is required. Lunch and materials will be provided. The Alliance for Sustainable Agricultural Production is located between Goodman and Durant, one mile southwest of Highway 51 at 1184 Coleman Road. For more information, contact Keith Benson at 601-988-4999 or keithmdp@yahoo.com. The last field day of the year is scheduled for Dec. 12. The Mississippi Department of Agriculture and Commerce and the U.S. Department of Agriculture Specialty Crop Grant Program fund the programs.